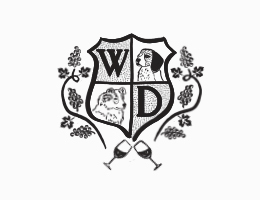 wine-dogs — Alluvial Wines Inc.
Born in New York, Simon’s Kiwi parents brought him back to Wellington, New Zealand when he was 10 months old. In his twenties, wanderlust struck, and Simon left home to discover the world. Jobs in wine shops and amongst vines sustained him through most of his journey. When he accepted a job with one of the longest-standing importers of New Zealand wines, he realized his destiny was to bring the purest expressions of international winemaking to the country of his birth. Simon was instrumental in introducing the first top-quality New Zealand wineries to the U.S. including Dry River and Te Mata Estate. Following the successful launch of the Tablelands brand, he and Magnus Riddiford founded Wine Dogs Imports to continue this mission. Today, Simon focuses on managing logistics, overseeing compliance and (happily) serving as Chief Tasting Officer. Roots run deep for the Riddiford family in the Wairarapa region of New Zealand, and that legacy continues today. Magnus grew up in the town of Martinborough in the 1980s and watched his hometown blossom into the wine capital it is today. Witnessing this transformation firsthand, Magnus moved to New York with the goal of furthering the growth of the New Zealand wine industry abroad. After distributing international wine brands for several U.S. companies, Magnus had the good fortune of meeting Simon Buck in 2009. Together, they built the Tablelands brand, and as that brand grew, the idea of Wine Dogs Imports became a reality. Today, Magnus focuses on opening new markets and driving sales, as well as developing new brands and products.